Why did we crown Guts the best NetEnt Casino EVER? Well, let us quickly summarise why Guts continues to stand the test of time. Before every casino adopted the phenomenon of wager free spins, Guts was the pioneer of this concept. 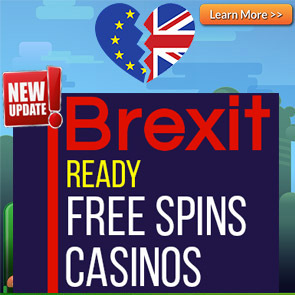 At the time, it was unheard of to give no wager free spins. For the uninformed, no wager free spins are free spins which carry no wagering requirements. This means whatever you win from them is straight cash and can be withdrawn immediately. Guts continues to give no wager free spins to this day and this has made it quite a popular casino to play at. The industry has for a long time grappled with getting players withdrawals to them as quickly as they deposited. Guts made this a major priority and worked to get every withdrawal processed in 2 hours or less. Players hate waiting days to get their withdrawals. With Guts you get your withdrawals within hours. As most people often play over the weekend, Guts made it that your withdrawal will be processed on weekends too. What a coup that was! So if you win something at Guts you don’t have to wait till Monday for your withdrawal to be processed, finance will process within 2 hours over weekends too. 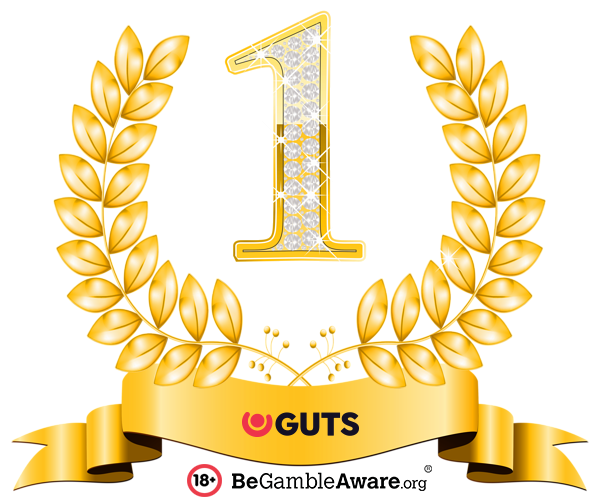 Guts dropped its minimum deposit to qualify for the welcome offer to only 10EUR/GBP/CAD/NZD/100Kr. It is one of the very few casinos that has such a low minimum deposit. Guts has over the 5 years become the players recommended casino and their excellence continues to soar. So we wish Guts Casino a Happy 5th Birthday and look forward to 5 more years of excellent casino service. Below are the welcome offers currently running at Guts Casino. If your country isn’t on the list, you can claim the very generous Rest of the World Offer. The minimum deposit is €20 to be eligible for the Welcome offer above. The 100 spins are credited over 10 days. Players receive 10 daily spins that need to be claimed daily between 00:01 and 23:59. 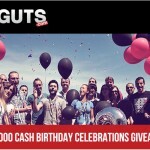 New players at Guts Casino residing in the UK can take advantage of a £100 Welcome Package + 50 Bonus Spins. Only UK players who are over 18 are permitted to take up this welcome package. You can read the full term and conditions for this welcome package here. This offer is only valid for new players from the UK. Players must be 18 years or older to open an account at Guts Casino. Deposits made using Neteller, Skrill, or Paysafecard are not eligible for claiming the Welcome offer. The wagering requirements are 35 times and must be completed in 30 days before any withdrawals can be made. The maximum bet is £5 when bonus money is in use. Players will receive 50 Spins on the Book of Dead Slot. They will receive 10 Spins per day, over 5 consecutive days. These Spins are wager-free. Different games carry different percentages towards fulfilling wagering requirements. The following applies: Slots count 100% with exceptions*; Classic Slots count 75%; Live Dealer Roulette and Blackjack count 10%; Live Dealer Baccarat and Casino Holdem count 5%; Table Games and Video Pokers count 0%. *Blood Suckers, Kings of Chicago and 1429 Uncharted Seas count 50%; Beautiful Bones, Tower Quest, and Dead or Alive count 0%. The minimum deposit is €10 to be eligible for the Welcome offer. The 100 spins are credited over 5 days. Players receive 20 daily spins that need to be claimed daily between 00:01 and 23:59. The minimum deposit is $20 to be eligible for the Welcome offer above. New players at Guts Casino residing in Canada can sign up to receive our EXCLUSIVE 15 No Deposit Spins. Get 5 Spins on each of the following slots: Valley of the Gods, Reptoids, and Jungle Books. 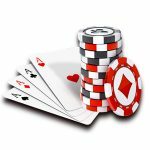 Additionally, new players can also take advantage of the CA$100 Welcome Package + 100 Bonus Spins. The minimum deposit is CA$10 to be eligible for the Welcome offer. The 100 spins carry no wagering requirements. The 100 Spins are split up into 20 daily spins that will be credited to you for 5 days in a row. The spins need to be claimed daily between 00:01 UTC and 23:59 UTC. The minimum deposit is €10 to be eligible for the Welcome offers above. The minimum deposit is 100kr to be eligible for the Welcome offer above. 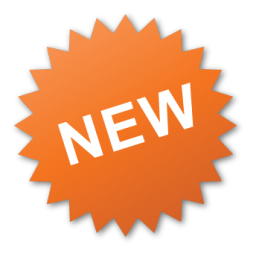 Welcome offers are only valid for new players that have not registered for an account. Players must be 18 years or older. BeGambleAware. A minimum deposit of $10 (€10, 100kr) is required to claim any deposit bonus unless otherwise specified. All casino bonuses need to be wagered at least 35 (thirty five) times before withdrawals can be made. 150% (or above) bonuses have to be wagered 40 (forty) times, 200% (or above) bonuses have to be wagered 45 (forty five) times. Players residing in the following countries are not eligible to receive deposit bonuses or any bonuses at Guts Casino: Albania, Azerbaijan, Belarus, Bosnia and Herzegovina, Croatia, Georgia, Romania, Ukraine, Russia, Serbia, Slovakia, Latvia, Lithuania, and Thailand. 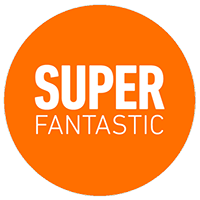 The maximum bet is €5 (50kr, $5) when a welcome bonus is active. The maximum bet with a reload offer is €7.50 (75kr, $7.50). Different games contribute a different percentage towards the wagering requirements: Slots* and other games 100%; All games under the “classic slots” tab 75%; All tables games and video pokers 0%; Blood Suckers, Kings of Chicago, and 1429 Uncharted Seas: 50%; Scrooge, Devil’s Delight, Champion of the Track, Robin Hood, The Wish Master, Castle Builder, and Tower Quest: 0%. For a full list of the Terms and Conditions, click here.